Using reliable websites via online, people may find things nice to know and should have known. If you’re fond of collecting diamonds, it will be best for you to download a tool template commonly called as Diamond color scale and clarity chart. 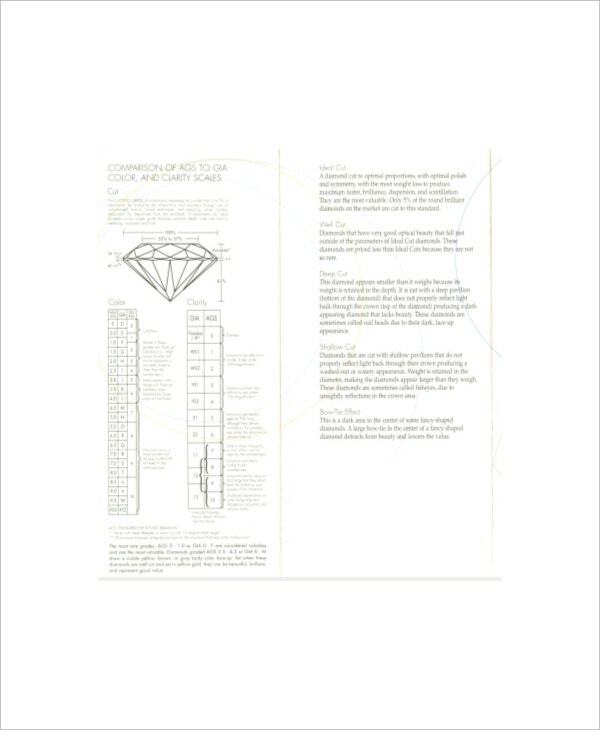 In the chart, you will see the scale of color available for the Diamond Clarity Charts and identify the clarity for each with unique pictures attached to understand more about perfect and imperfect diamonds. You can find free samples and examples of diamond charts in the template online. These Charts Templates are effective and useful for people who try to have a business for diamonds as well as for those who are seeking to buy according to their preferences. A diamond color scale and clarity are the two important C’s of a diamond as you study the worth of it and how to name the price for the diamonds. People take extra care in buying expensive things especially jewelry. But with the help of a tool template online, people can buy things even diamonds for real at a justifiable price. 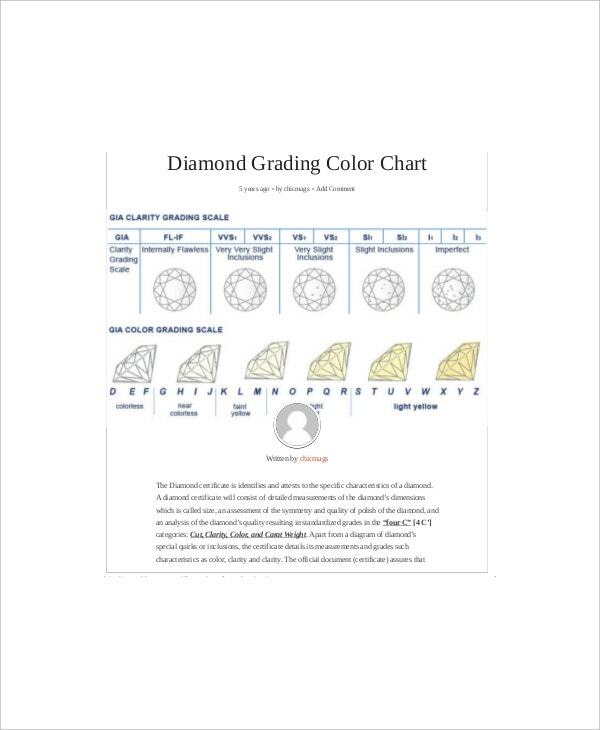 Anyone can download a chart of Diamond color scale and clarity Chart in excel format which can be easier to present the scaling of diamond colors and the clarity grading for each. Each diamond is being studied and measured accurately that’s why when you see it at the jewelry stores, the price of a diamond is subjected based on the carat weight, clarity and color. 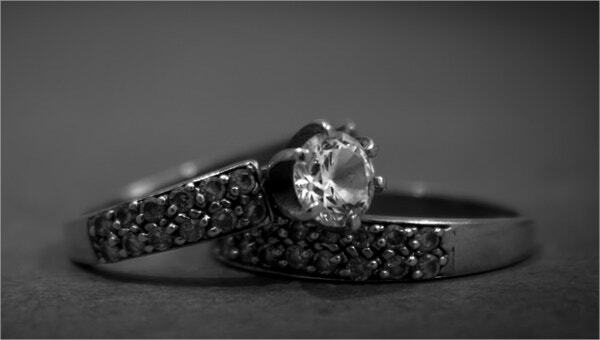 You can understand clearly the differences of diamonds through a Diamond clarity scale and color chart. This can be found online and anyone can have it by downloading the tool. Compared to other clarity chart, this free color scale and clarity chart will be the same in content and function in gaining the correct judgment of value of a diamond and its relief or hue. It is composed of ordered diamond color scaling and clarity grading which have paragraphs and diagrams along with it that can enable any readers to understand the whole content in just one sitting. You can also see Diamond Clarity Chart Templates. It will give order on all jewelers and jewel makers in addition to gemologist who are using diamonds as means of their living by selling or purchasing it. They can take the value of any diamond in a straight and reasonable value with this chart as this is been widely used all over the world especially in any jewelry stores selling diamonds. 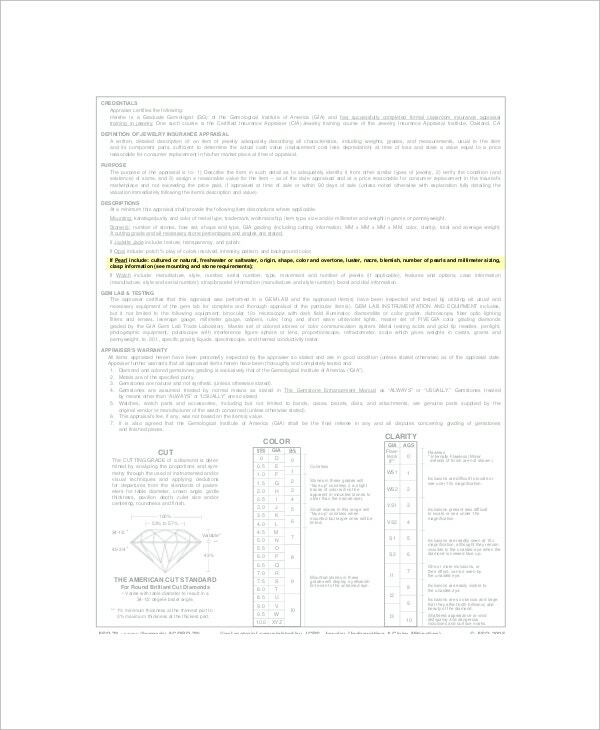 Have a spreadsheet that will help you formulate a personalized chart of your own by combining all of the diamond grading data you have collected. You can also add contents you want to add in the spreadsheet that will enable you to work faster in checking diamonds value. You can also see Diamond Color and Clarity Chart Templates. 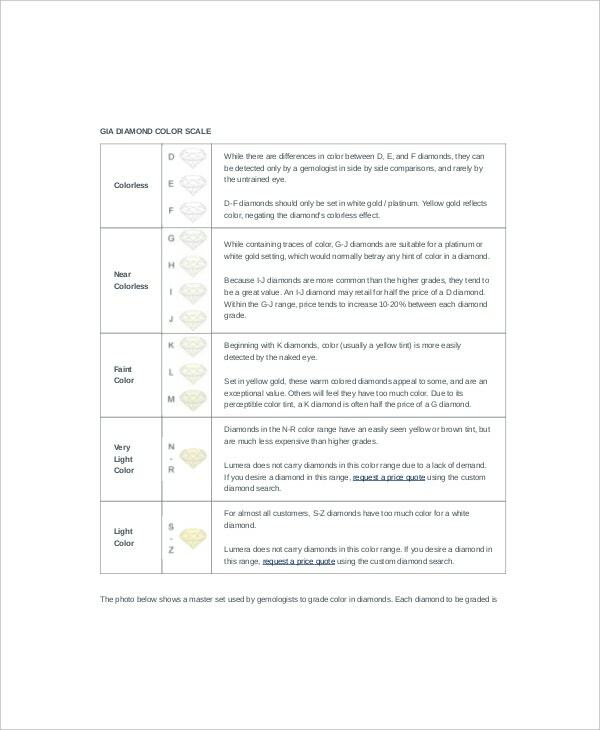 Apply the chart provided by the gemological institute of America in assessing diamonds color and clarity. They are organization considered reliable in providing guidelines in appraising a diamonds value all over the continents of the world as long as it is applicable in a certain country. The content of this chart is offered in example format; it can be readily applied in your line of work as it has consistency to those that is used in the jewelry business. You can have it in your workplace anywhere anytime as long as you have an internet access and a computer or smart phone.